The probe comes after an I-Team story in June sparked a car safety watchdog group to formally petition the feds to investigate. The National Highway Transportation Safety Administration is now responding nine months later. 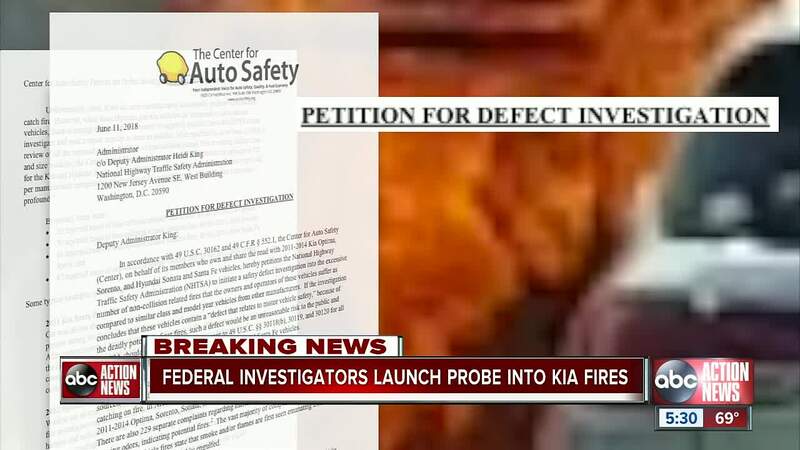 NHTSA confirmed in documents filed on its site that the agency will look into fires in certain models of Hyundai Sonatas and Santa Fes, as well as Kia's Optima, Sorento and Soul. The NHTSA reports there have been 3,000 reported fires in those vehicles combined, thousands more incidents than the federal government previously reported.